It all started with a desire to be able to teach ALL children how to read and write successfully. Mrs. Romalda B. Spalding was well educated and an exceptional educator; however, she discovered that her preparation was not adequate for teaching ALL children to read and write successfully. She searched for a reading method that empowered children to become fluent, thoughtful readers and writers. She received guidance and training from the distinguished neurologist, Dr. Samuel T. Orton, a leader and specialist in helping dyslexic and other learning-disabled children. 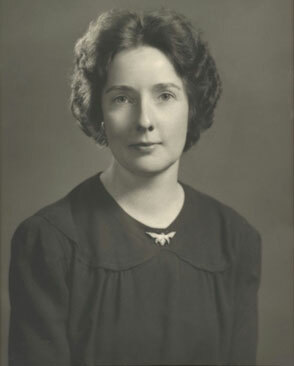 Mrs. Spalding taught older children with Dr. Orton’s guidance and realized that the techniques that worked so well with the child having the most difficulty it also prevented problems from developing in other children in her classes. At Dr. Orton’s invitation, she attended a course he gave to pediatricians where she learned that the method of teaching determines which pathways develop in the brain. Then in 1986, the Spalding Education Foundation was established in order to perpetuate the METHOD of teaching language arts. Romalda established the foundation (now Spalding Education International) as a resource for Spalding materials, to perpetuate her method of teaching language arts, and to maintain the principles and procedures which have made The Spalding Method so effective. Spalding Education International (SEI) is a non-profit corporation. It offers courses that certify tutors, teachers, and instructors in The Spalding Method. Courses were held through contracts with schools, districts, and universities where on-site staff development was provided for schools that adopted the method as their total language arts program. Schools could also apply for SEI Accreditation. 1938-1941: Taught a boy from the middle of his kindergarten year through second grade, directly under the meticulous supervision of Dr. Samuel T. Orten. Later taught several older students under his direction. 1941-1945: Shady Hill School, Cambridge, Massachusetts: Teacher of Students with language problems from third through ninth grade. Taught each year groups of graduates from Smith, Vassar, Radcliffe, Bryn Mawr and other girls’ schools. These girls spent a year at Shady Hill School in order to learn to teach. Worked with physicians of Children’s Hospital at Harvard Medical School. 1952-1986: Instructor of approximately 120 college credit Spalding classes of teachers and parents in mainland states, Hawaii, Alaska, and Canada. 1985-1992: Spalding consultant to more than 50 schools in mainland states and Hawaii; certified first 16 Spalding Teacher Instructors. Now, in an effort to advance the method even further and help even more teachers learn The Spalding Method, training courses are offered online.